Life presents many surprises and the unexpected can change everything overnight. An attorney's spouse can lose his job and seek another one in a different state, children are born, and loved ones become ill. While many of these situations are entirely out of one's control, or are blessings such as in the case of new life, they can present challenges to being able to continue to practice at the level required by a top law firm. As such, any one of these circumstances can lead a lawyer to take a hiatus from her firm. You must keep in mind, though, that returning to the practice can be a difficult feat. Your decision to take a break should not be made lightly, and you should consider the questions a firm will in the future when evaluating your viability as a candidate. As a legal recruiter who advises attorneys wishing to make a lateral move every day, I am often asked how long is too long when it comes to taking a law firm hiatus. While various factors will affect this answer - some of those external and some of those specific to the actual candidate's background and circumstances - it is pretty safe to assume that if you have been out of work for more than a quarter or so, it will be very hard to secure a position with a major law firm. Many law firms will accept the reason presented for taking an extended hiatus if the reason involves1) the birth of a child, 2) the death of a close family member, or 3) a serious illness. Generally speaking, the most acceptable reasons for taking an extended hiatus involve issues that are beyond the attorney's immediate control or that do not reflect at all on her ability to perform at the level the firm necessitates. If you have such a reason, you should emphasize it in the explanation you provide to a prospective firm. 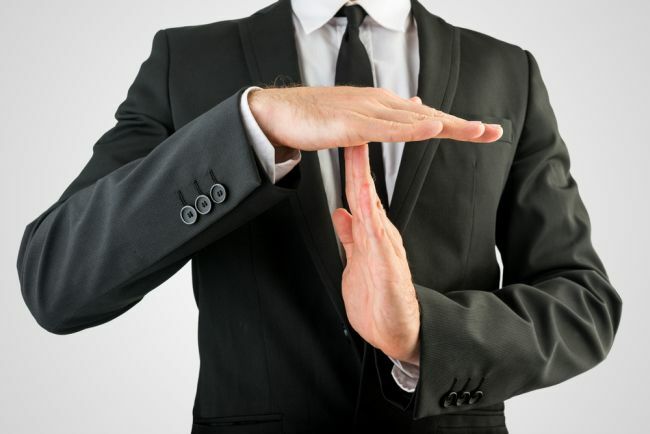 Firms often connect time out with negative conclusions relating to 1) a lawyer' slack of commitment to the practice and its demands, 2) the lawyer's inability to thrive in a law firm environment, or 3) an attorney's being fired from his previous firm. As such, you should make sure that the reasons you give for your leave from the practice of law take these concerns into account. Though they may have concerns about your taking time off, law firms are still, of course, businesses and therefore operate under the law of supply and demand. If there is a demand for lawyers in a particular area of the law, law firms tend to be more forgiving with respect to hiatuses. In addition, experience at a large or well-regarded law firm can have great value. Transactional attorneys who worked under the biggest names in deal-making or litigators trained at well-regarded trial departments can almost always pique the interests of some firms, even after an extended hiatus. Of course, the length of time an attorney spent being trained at a well-respected firm is important. If you practiced at a top firm for less than a year, the value of the training you may have received is reduced by the fact that you were there for such a short time. If you have stellar educational qualifications, then firms may be less likely to hold against you your time off. Firms can market the attorneys who graduated from elite law schools, were on Law Review, and had the top grades the most to their clients. It follows then that attorneys with these credentials who are the most marketable to clients are also the most marketable to the firms themselves. Still, if the firm thinks you are likely to leave again, the firm is unlikely to hire you, no matter how exceptional your credentials. Your record will reflect how stable you appear to firms. As with any organization, the stability, reliability and commitment of its employees are key to a firm's survival and success. If you have changed firms and practice areas frequently throughout your career, you can seem less solid in your career goals, your ability to commit to the practice of law, and in your substantive expertise in any one practice area. If you have worked at several different firms - or in a number of practice areas - since you graduated from law school a handful of years ago, this would likely raise serious concerns in potential legal employers' minds. Equally, if you were with the same firm for say, six years, left, and now want to return to a law firm, your departure maybe less likely to raise concerns. Deciding to take a break from the practice of law is a risky choice if working at a law firm is what you want to do for the long term. While firms do consider valid some reasons for which attorneys take a hiatus, you need to think through the potential perceptions your actions may give rise to - and their consequences - very carefully. Taking a step out of the practice could have considerable consequences on your career.